In celebration of Women's month, the San Pedro House of Culture invites you to join us on March 26th for the opening of "The Golden Age" photographic exhibition as we honour the senior citizens of San Pedro. Highlighting the work of Photographer Karen Brodie. 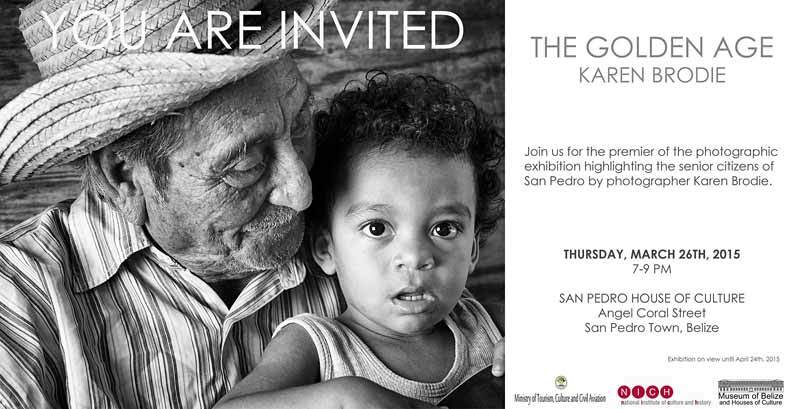 Today is the last day for the Golden Years Exhibit at San Pedro House of Culture. Better get down there if you haven't yet!